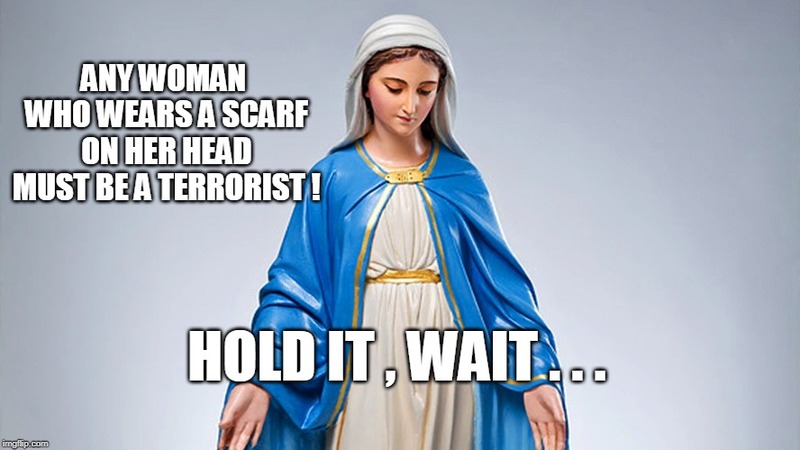 ANY WOMAN WHO WEARS A SCARF ON HER HEAD MUST BE A TERRORIST ! HOLD IT , WAIT . . .